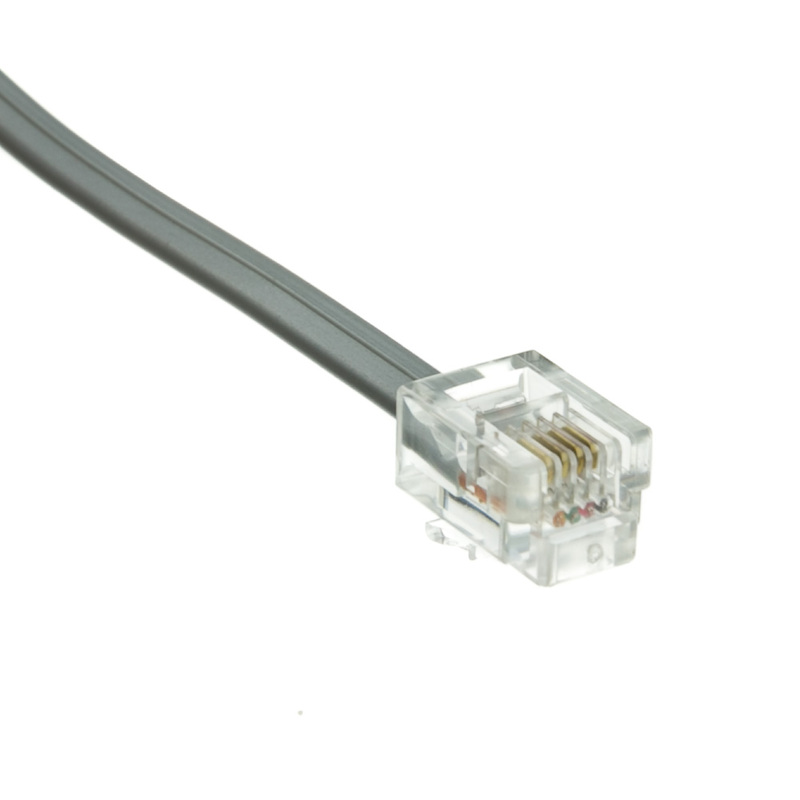 More Product InfoThis 1 foot flat silver satin telephone cable is designed for data use, straight / 1 to 1 pin out. 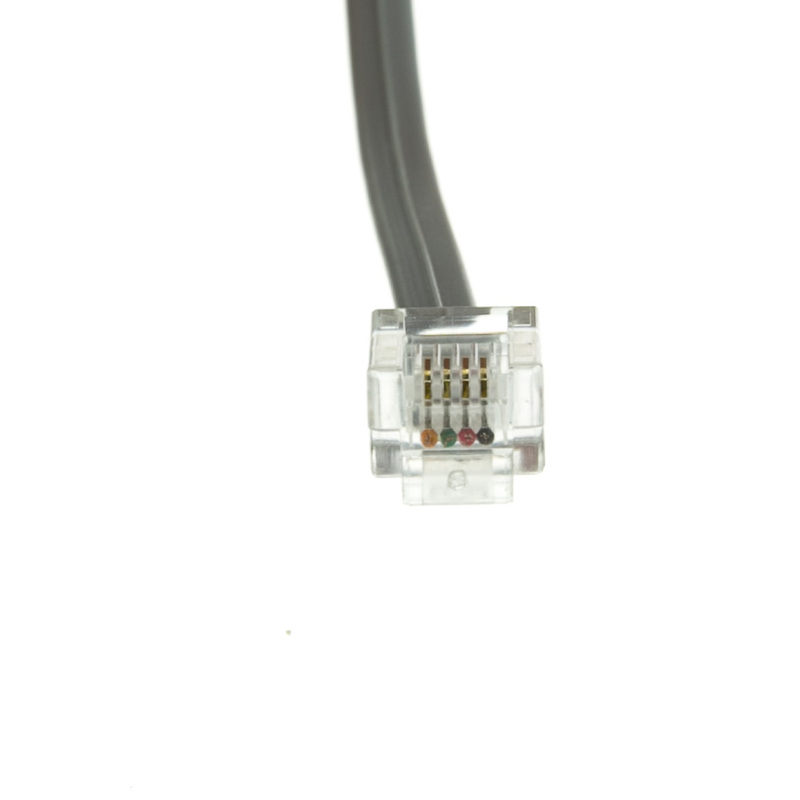 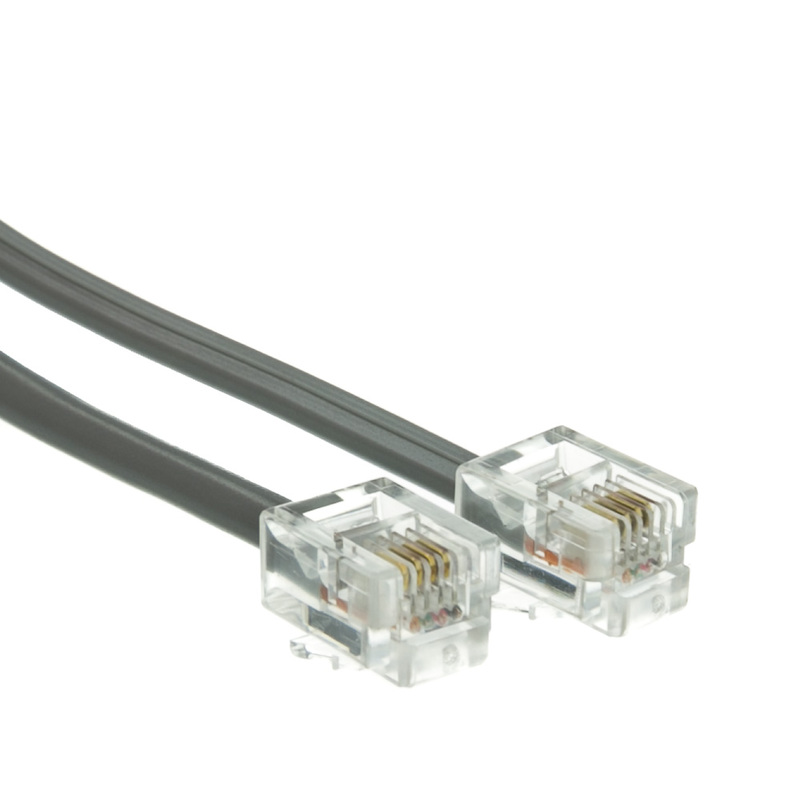 It is ideal for use in phone patch panels and connecting modems/fax machines where a longer cord is a hassle. 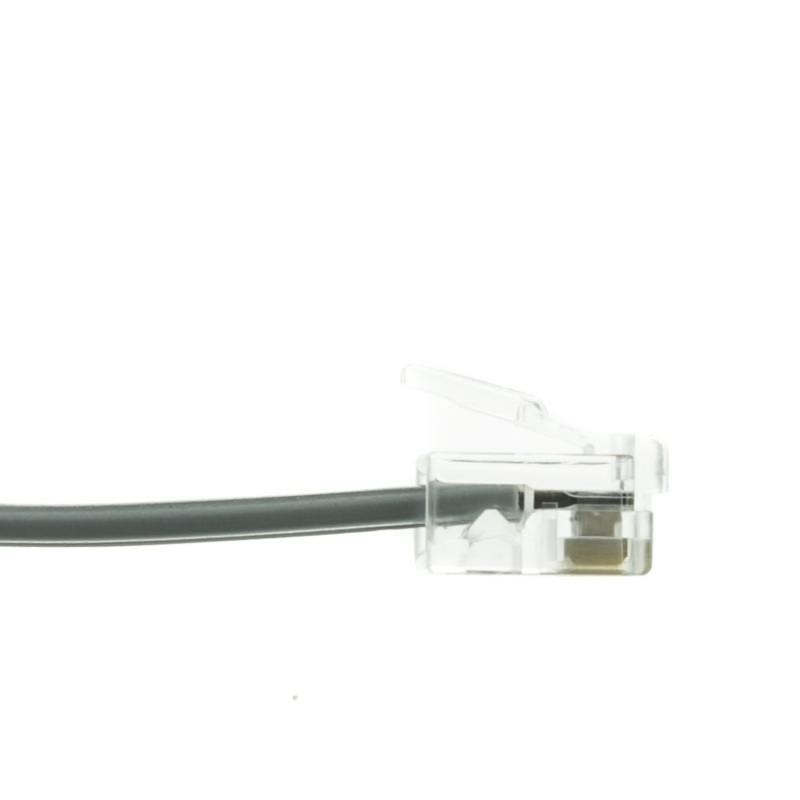 These telephone cords feature 6 position 4 conductor RJ11 connectors and four 28 AWG (American Wire Gauge) wires in each cord. amazingly low price, good quality!